We’re on a mission to empower e-commerce merchants to create long-lasting, profitable relationships with their customers through industry-leading marketing channels. If you have creativity, perseverance and passion, we have a position just for you. Currently, we are looking for an office administrator. – Assist colleagues whenever necessary. – Proven work experience as a Front desk manager or Reception manager is a plus. – Free coffee, tea, fruit, pastry, PlayStation and more. 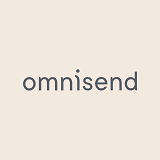 Please apply via email career@omnisend.com until the 15th of April.